Tis the season for drier everything! Dry hair. Dry skin. Dry air. Not to mention, static, anyone?! In the winter, my tresses tend to feel extra coarse and dry, so I am constantly on the hunt for products that will deliver what they are claiming to do, and help my hair feel silky and shine! 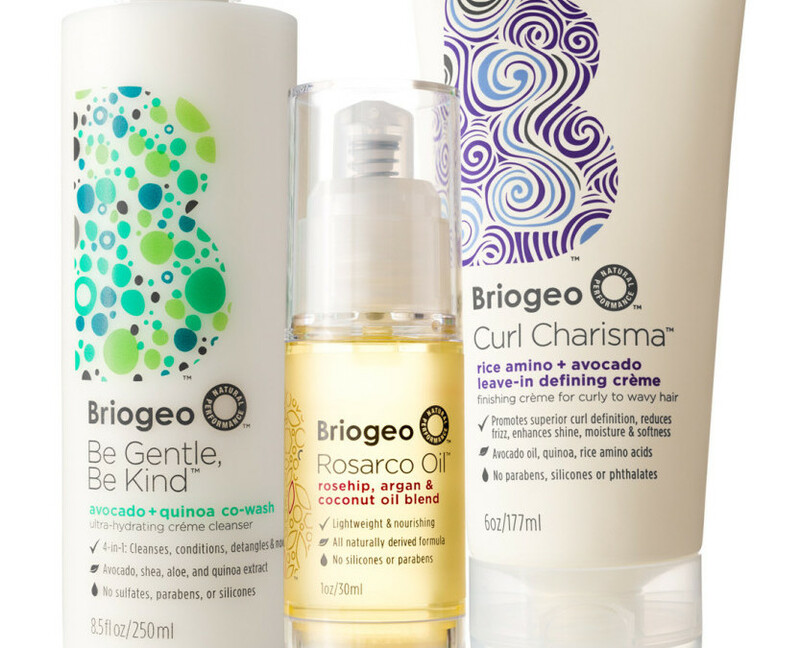 I’ve tried many naturals brands, but one that I have been favoring for a while now is Briogeo. I’ve mentioned their conditioning mask in a previous post, if you’re in need of a good mask to revive your hair. 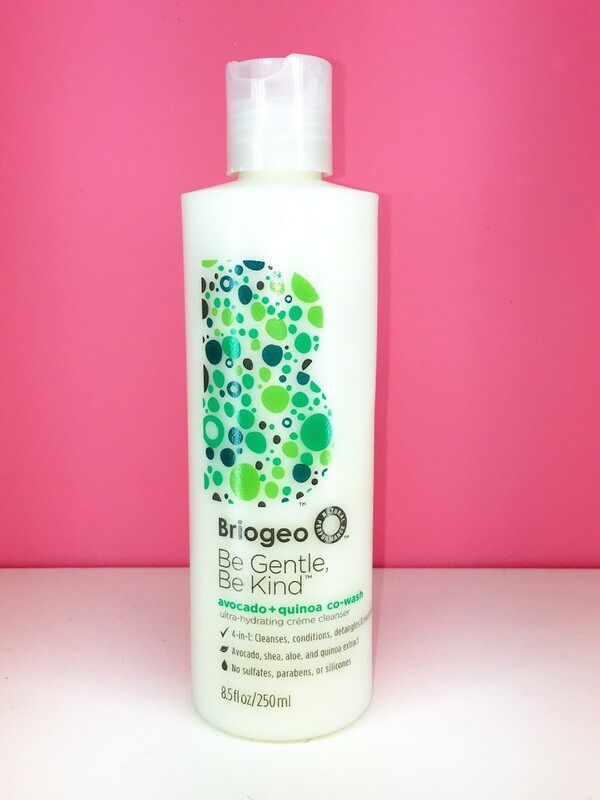 So, what’s great about Briogeo natural haircare is that you can customize your hair products through the site and choose the perfect blend to suit your needs. Specifically, for me, since I rarely blow dry my hair or use heated tools, I need products that will help my natural, air-dried hair feel silky smooth and look shiny. I’m also the type of person who likes to be in and out of the shower quickly, and rarely spend much time styling my hair (unless I’m going for a night out or have a special event). Currently, I am testing out the Be Gentle, Be Kind Avocado + Quinoa Co-Wash. 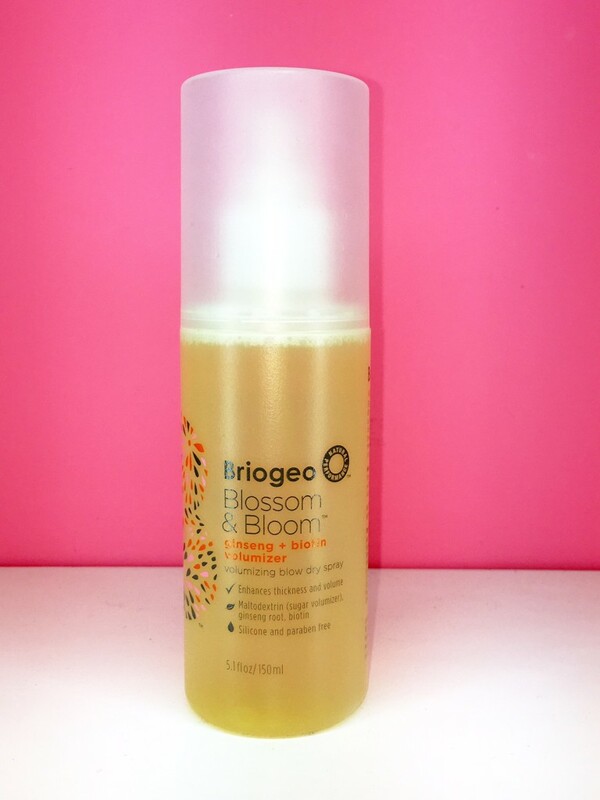 This 4-1 product is meant to cleanse, condition, detangle and nourish hair. It’s a one step product that rids hair of dirt and build up (accurate), but also nourishes and truly conditions hair at the same time (very true). I have to say it is working out pretty well. I was iffy at first because I usually dislike regular 2-1 in products (then never seem to work well, ya know?!) and figured I would feel the same about this 4-in-1. However, my strands have been feeling extra healthy, smelling amazing and looking shiny! I am going to stick with it. After cleansing and hydrating my tresses, I use the Curl Charisma Rice Amino + Avocado Leave-In Conditioner. I chose this product specifically because my hair has a natural “S” wave and I wanted to define that organic curl without using a hot tool. It is a lightweight cream formula that has frizz-deterring (much needed for me) rice amino acids, avocado oil, and quinoa extract to nourish and enhance your natural waves. One of my other concerns is hair growth. It seems as I get older my hair does not grow as fast and is getting a bit thinner (NOT COOL!). So, to add volume to my hair and encourage some growth, I went for the Blossom & Bloom Ginseng + Biotin Volumizing Blow Dry Spray. I add a few spritzes to damp roots to give my hair extra fullness. 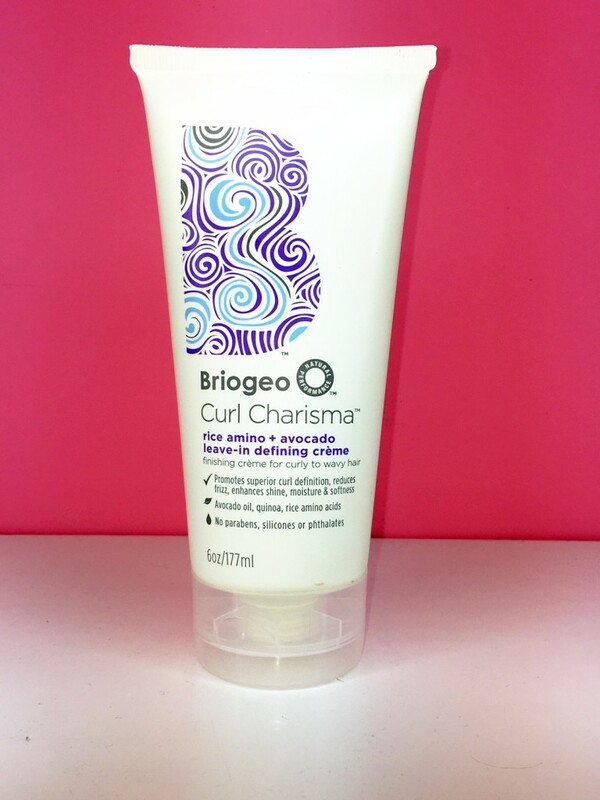 I’ve used this product without blow drying my hair and still get some great volume. The ginger is said to support blood flow to the scalp and the biotin, of course, aids in natural hair growth. Uh, yes please and thank you! 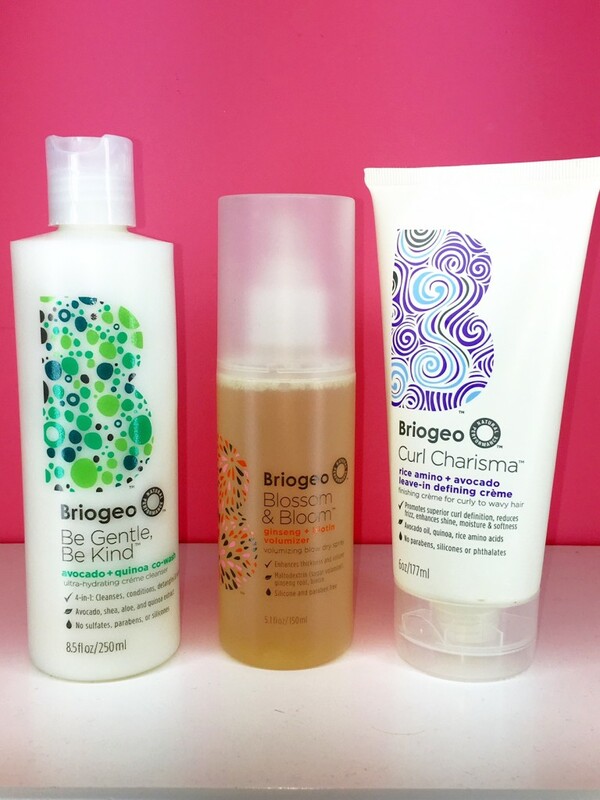 I’ve been a big fan of the Briogeo brand and it seems most of the products I try just work and do what they declare. I like that kind of honesty from a brand. Also, love this brand for its cruelty-free values and the fact that everything is made WITHOUT sulfates, parabens, phthalates, silicone, synthetic fragrances and dyes. And any product line that incorporates nutrient dense, superfoods in their ingredients like quinoa and avocado oil are just plain awesome. Hope you’re having a good hair day! NOTE: This post is not sponsored. All thoughts are unbiased and my own. Samples were provided for editorial consideration and/or my use as a healthy beauty professional. Photos are property of DIVAlicious. Nope, most of the days I just used the co-wash and my hair was smooth. The leave-in conditioner helped to boost my natural waves and add some extra conditioning to my dry ends but, you could def go w/out it. I’ve tried a lot of natural brands that don’t work well and leave my hair feeling even more dry and blah..but, so far this is a winner!